According the agreement, Comair Limited will receive extended Base maintenance services. 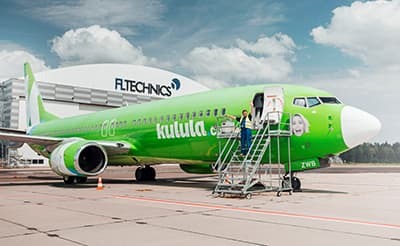 “The first aircraft, a Kulula.com Boeing B737-800 is being completed a 6YR C Check”, – said Zilvinas Lapinskas, CEO at FL Technics. About FL Technics: FL Technics is a global provider of aircraft maintenance, repair and overhaul (MRO) services. Company specializes in base & line maintenance, spare parts & component support, APU & LG management, full aircraft engineering, technical training. FL Technics is an EASA Part-145, Part-M, Part-147, Part-21 certified company with certificate approvals in Indonesia, Bermuda and other countries. FL Technics is a member of the Avia Solutions Group family, a global aviation holding company.